Overview: We think you'll get a kick out of this! You're invited to jump from the bleachers to the field and suit up for the ultimate game of soccer. Winning Shot is your big chance to become a celebrity athlete and, hopefully, get paid out just as handsomely. Don't worry about getting any yellow flags as you race down the field. Winning Shot is between you and the goalkeeper, so there's rarely any defense to worry about. 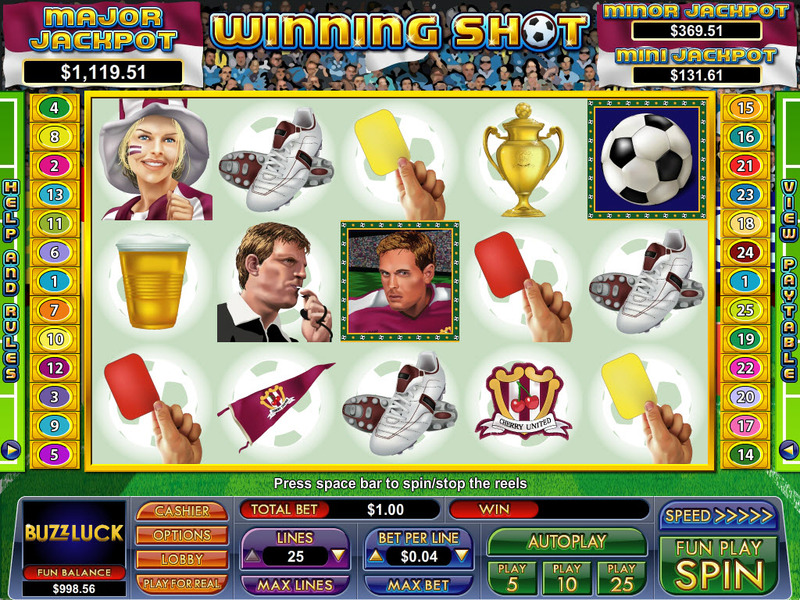 And with so many chances to score big rewards - including major and minor jackpots, a top payout of 40,000x your bet per line, and a Goal Kicking feature with a special golden ball - winning is almost as easy as pounding a ball downfield on an open net. Love hearing the crowd go wild? You'll experience a fanatic level of an adrenaline rush when you land on three Soccer Ball symbols. 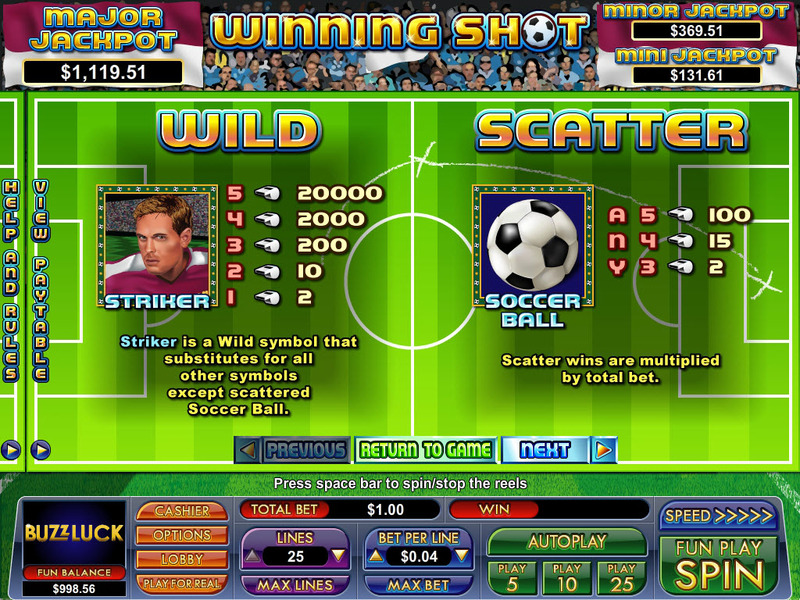 Doing so clears the field and lets you take 5 penalty shots. The first 4 shots net you a prize and a number of free games. For the last shot, you'll get to fire a gold ball into the net, which gets you 2x the total prize and free game pool. 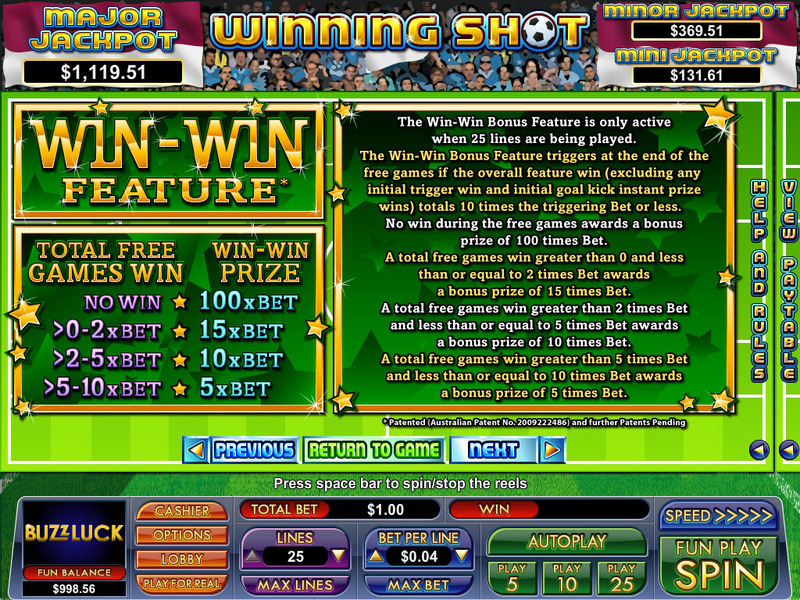 There's also a win-win feature that awards you with bonuses if you didn't win as much as you'd hoped. Winning nothing during the bonus round gets you a bonus prize of 100x your bet, so you're guaranteed to walk away a champion, no matter what. 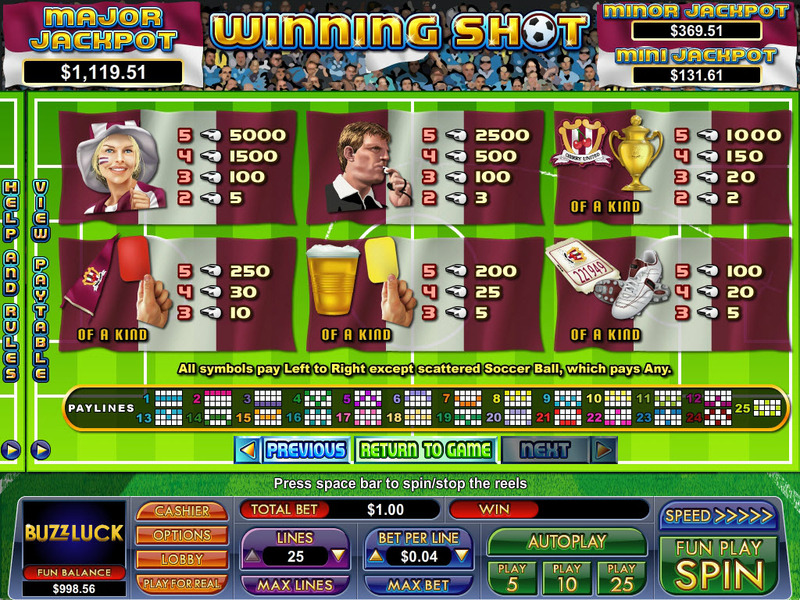 Similar Slots: If you like Winning Shot, you might like these other slot machines from NuWorks: Ancient Wonders, Bank Bandit, Big Rig, Catch of the Day, Moby Duck, Monster Millions.